As we reported during January's government shutdown, so many of us are living paycheck-to-paycheck (and its stresses) and, according to a survey by Bankrate.com, only 40 percent of U.S. adults feel able to pay an unexpected expense of $1,000 or more. And, according to that same survey, 15 percent of respondents said they would put that expense on a credit card. Considering the average card annual percentage rate, or APR, is hovering at a record high of over 17 percent, it can take quite a while to dig out from under and start saving again. "I see people getting into cycles where they're in debt and they get a tax return, they don't save any of it, then incur more debt," says Dr. Moira Somers, clinical neuropsychologist, professor, executive coach and author of "Advice That Sticks: How to Give Financial Advice That People Will Follow," based in Winnipeg, Canada. Aside from high interest rates, credit cards can be dangerous for those looking to save money because a little too easy to forget how much we owe until the bill comes in. "Paying with credit cards isn't even perceived by our brain as spending," explains Somers. "There's an area of the brain associated with pleasure and anticipation, and an area associated by disgust and pain. When you put people in brain imaging scanners, and they go through scenarios imagining they are making a purchase and paying with cash and credit, both areas light up when they paid with cash. But when they paid with credit cards, only the pleasure area lit up. That's why casinos move us away from anything that looks like money. You used to feed tokens and nickels into slot machines. Now people just put it on a thing that looks like a credit card because it doesn't feel like money," she said. Colin F. Camerer, Robert Kirby Professor of Behavioral Economics at Caltech and director of the T&C Chen Center for Social and Decision Neuroscience says people don't "intuitively compute" how fast credit card interest can multiply. "There's still a lot of temptation to spend compared to the temptation to save," he explains. It's no wonder one very recent study showed love to be analogous to money in the human brain. After comparing how the brain works when facing incentives for goal-directed behaviors, researchers found "the common involvement of brain regions in both social and material reward anticipation." In other words, neuroscientifically, the same brain circuitry in that makes us feel positive and motivated reacts in the same way to money as it does to love. Conversely, we might jokingly call unforeseen expenses 'a pain in the wallet,' but neuroscience says there's some truth to that sentiment. As it turns out, a study similar to what Somers referred to found the same brain circuitry to activate when we anticipate financial loss as it does when we experience pain. Automate your savings. 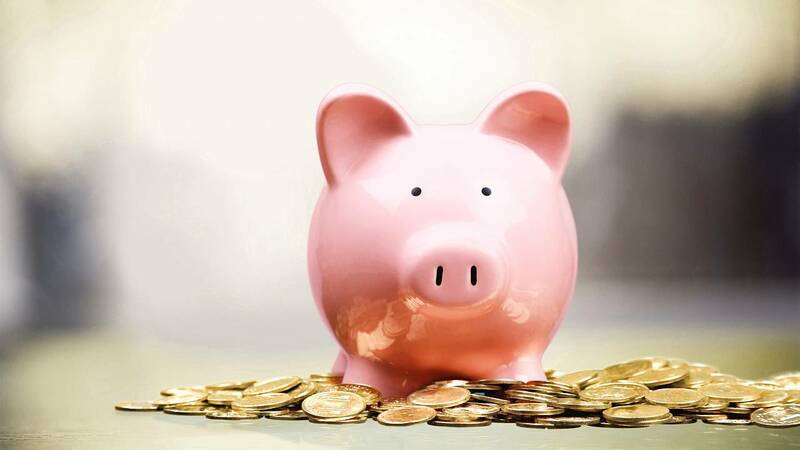 "For the sake of your future self, arrange for whatever percentage you can save to be put into a retirement or savings vehicle, be it a 401k, Roth IRA, or a savings account," says Somers. "Another thing I always suggest is a separate periodic savings account for things like holidays, the annual house insurance and taxes. It's easy to forget about them unless they are just on your doorstep, so being prepared really helps." Do an annual money cleanse. Camerer advises taking a day, at least once a year, to closely examine the auto-debits on your credit card bills through a magnifying glass and trimming expenses you might've forgotten about or don't need any more. "You may notice monthly subscriptions that are wants, not needs. People are more adaptive than they might think about making do on a little less," he says. Curb time spent at the mall time and watching lifestyle TV. Sure, the lavish lives of the Real Housewives may be the ultimate guilty pleasure, but they can also tempt you into wanting luxury items that are above your means. The same goes for doing the "mall shuffle," says Somers. "The longer people spend shopping, the more likely they are to start spending unconsciously. You get tired and your decision-making abilities kind of fade over time. You just start picking stuff up because it's there and buying it," she says. Disable 1-click ordering. When training the brain to save money, we also have to train the brain not to spend impulsively. Here's where a few seconds can make all the difference. "Behavioral economists call it 'friction,'" says Somers. "Friction is anything that gets in the way of a behavior. The goal is to add helpful friction and remove unhelpful friction. By turning off 1-click purchases, you put helpful friction — or another 15 seconds — between yourself and the purchase. That might be all it takes to second guess the purchase." Understand that it's good for you. Somers says the ultimate step in training your brain to save money is to realize how the security of a financial cushion can actually benefit your mental health. "Money decreases stress and increases people's sense of confidence, so they don't feel like they're riding so close to the edge all the time," she says. "If you don't have savings you don't have choices. Money can give us the choice to change our lives and change the lives of the people we care about. It gives us the freedom to travel, invest, get an education, or quit a job that's grinding our soul. It can help us move to a safer neighborhood and get proper health care. It may not have a lot of 'rah rah rah' associated with it, but once you've experienced the contrast, it's like experiencing being able to exhale. We don't celebrate breathing either, but it's really important."